christ1111 had the most liked content!
? Change Log Update 24 Dec 2015 New versions HWSensors-V3?EFI v6.18.1394.pkg Change the postinstall script ? New versions HWSensors-V2 EFI v6.18.1394.pkg Ad Support Yosemite Also Correction on the script to delete FakeSMC in Clover kexts ? ? ? ? See Change Log for Update ? ? ? 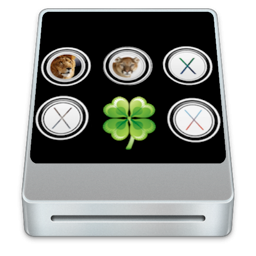 Simple installer for those who want to install FakeSMC + plugins in EFI / CLOVER / kexts 10.11/10.10 ? ? ? Install also HWMonitor.app in Applications ? ? ? This will install to any EFI Volumes ? ? ? You can only select the FakeSMC if you wish ? ? ? ? ? ? ? ? ? ? ? ? ? FakeSMC an open source SMC device driver/emulator (FakeSMC) by netkas ( http://netkas.org/) with hardware monitoring plugins ported from OpenHardwareMonitor for Windows and hwmon sensors drivers from Linux. ? ? ? NOTE: FakeSMC & Plugins starting from v915 provides additional sensors information to HWMonitor then running on Macs. 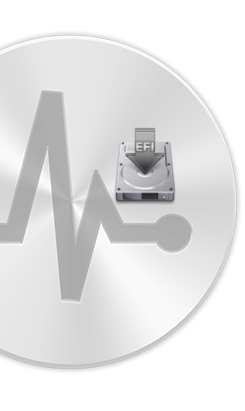 By installing FakeSMC on real Mac you should consider to know what are you doing and how to recover your system back if something goes wrong. ? ? ? All repositories: ? ? ? Sourceforge, sources & downloads: https://sourceforge.net/projects/hwsensors/ ? ? ? BitBucket, sources & downloads: https://bitbucket.org/kozlek/hwsensors/overview ? ? ? Assembla, sources: https://www.assembla.com/code/fakesmc/git/nodes ? ? ? GitHub, sources: https://github.com/kozlek/HWSensors ? ? ? HWSensors Project ? 2013 netkas, slice, usr-sse2, kozlek, navi, THe KiNG, RehabMan and others. All rights reserved. ? ? ? Parts of this software are licensed under MPL 1.1/GPL 2.0/LGPL 2.1 ? ? ? OpenHardwareMonitor license: ? ? ? The contents of this file are subject to the Mozilla Public License Version ? ? ? 1.1 (the "License"); you may not use this file except in compliance with ? ? ? the License. You may obtain a copy of the License at ? ? ? ? http://www.mozilla.org/MPL/ ? ? ? Software distributed under the License is distributed on an "AS IS" basis, ? ? ? WITHOUT WARRANTY OF ANY KIND, either express or implied. See the License ? ? ? for the specific language governing rights and limitations under the License. ? ? ? The Original Code is the Open Hardware Monitor code. ? ? ? The Initial Developer of the Original Code is ? ? ? Michael Möller <m.moeller@gmx.ch>. ? ? ? Portions created by the Initial Developer are Copyright ? 2011 ? ? ? the Initial Developer. All Rights Reserved. ? ? ? Contributor(s): ? ? ? Alternatively, the contents of this file may be used under the terms of ? ? ? either the GNU General Public License Version 2 or later (the "GPL"), or ? ? ? the GNU Lesser General Public License Version 2.1 or later (the "LGPL"), ? ? ? in which case the provisions of the GPL or the LGPL are applicable instead ? ? ? of those above. If you wish to allow use of your version of this file only ? ? ? under the terms of either the GPL or the LGPL, and not to allow others to ? ? ? use your version of this file under the terms of the MPL, indicate your ? ? ? decision by deleting the provisions above and replace them with the notice ? ? ? and other provisions required by the GPL or the LGPL. If you do not delete ? ? ? the provisions above, a recipient may use your version of this file under ? ? ? the terms of any one of the MPL, the GPL or the LGPL. ? ? ? ****** ? ? ? FakeSMC License Agreement: ? ? ? Copyright ? 2009 netkas. All rights reserved. ? ? ? Redistribution and use in binary form for direct or indirect commercial purposes, with or without modification, is stricktly forbidden. ? ? ? Redistributions in binary form for non-commercial purposes must reproduce the above license notice, this list of conditions and the following disclaimer in the documentation and/or other materials provided with the distribution. ? ? ? Redistribution and use in source form for direct or indirect commercial purposes, with or without modification, is stricktly forbidden. ? ? ? Redistributions in source form for non-commercial purposes must reproduce the above license notice, this list of conditions and the following disclaimer in the documentation and/or other materials provided with the distribution. ? ? ? Neither the names of fakesmc copyright owner nor the names of its contributors may be used to endorse or promote products derived direct or indirect from this software. ? ? ? THIS SOFTWARE IS PROVIDED BY THE COPYRIGHT HOLDERS AND CONTRIBUTORS “AS IS?? AND ANY EXPRESS OR IMPLIED WARRANTIES, INCLUDING, BUT NOT LIMITED TO, THE IMPLIED WARRANTIES OF MERCHANTABILITY AND FITNESS FOR A PARTICULAR PURPOSE ARE DISCLAIMED. IN NO EVENT SHALL THE COPYRIGHT OWNER OR CONTRIBUTORS BE LIABLE FOR ANY DIRECT, INDIRECT, INCIDENTAL, SPECIAL, EXEMPLARY, OR CONSEQUENTIAL ? ? ? DAMAGES (INCLUDING, BUT NOT LIMITED TO, PROCUREMENT OF SUBSTITUTE GOODS OR SERVICES; LOSS OF USE, DATA, OR PROFITS; OR BUSINESS INTERRUPTION) HOWEVER CAUSED AND ON ANY THEORY OF LIABILITY, WHETHER IN CONTRACT, STRICT LIABILITY, OR TORT (INCLUDING NEGLIGENCE OR OTHERWISE) ARISING IN ANY WAY OUT OF THE USE OF THIS SOFTWARE, EVEN IF ADVISED OF THE POSSIBILITY OF SUCH DAMAGE. ? ? ? ****** ? ? ? OBMenuBarWindow License Agreement: ? ? ? Copyright ? 2012, Oliver Bolton ( http://oliverbolton.com/) ? ? ? All rights reserved. ? ? ? Redistribution and use in source and binary forms, with or without ? ? ? modification, are permitted provided that the following conditions are met: ? ? ? * Redistributions of source code must retain the above copyright ? ? ? notice, this list of conditions and the following disclaimer. ? ? ? * Redistributions in binary form must reproduce the above copyright ? ? ? notice, this list of conditions and the following disclaimer in the ? ? ? documentation and/or other materials provided with the distribution. ? ? ? * Neither the name of the <organization> nor the ? ? ? names of its contributors may be used to endorse or promote products ? ? ? derived from this software without specific prior written permission. ? ? ? THIS SOFTWARE IS PROVIDED BY THE COPYRIGHT HOLDERS AND CONTRIBUTORS "AS IS" ? ? ? AND ANY EXPRESS OR IMPLIED WARRANTIES, INCLUDING, BUT NOT LIMITED TO, THE ? ? ? IMPLIED WARRANTIES OF MERCHANTABILITY AND FITNESS FOR A PARTICULAR PURPOSE ? ? ? ARE DISCLAIMED. IN NO EVENT SHALL OLIVER BOLTON BE LIABLE FOR ANY DIRECT, ? ? ? INDIRECT, INCIDENTAL, SPECIAL, EXEMPLARY, OR CONSEQUENTIAL DAMAGES ? ? ? (INCLUDING, BUT NOT LIMITED TO, PROCUREMENT OF SUBSTITUTE GOODS OR SERVICES; ? ? ? LOSS OF USE, DATA, OR PROFITS; OR BUSINESS INTERRUPTION) HOWEVER CAUSED AND ? ? ? ON ANY THEORY OF LIABILITY, WHETHER IN CONTRACT, STRICT LIABILITY, OR TORT ? ? ? (INCLUDING NEGLIGENCE OR OTHERWISE) ARISING IN ANY WAY OUT OF THE USE OF ? ? ? THIS SOFTWARE, EVEN IF ADVISED OF THE POSSIBILITY OF SUCH DAMAGE. ? ? ? Packager chris1111 ?
? ? ? ? ? ?Welcome?? ? ? ? ? ?Installer Clover DELL Precision 690.app (Specs) DELL Precision 690 Workstation? Double ?Intel® Xeon® Processor E5335? (8M Cache, 2.00 GHz, 1333 MHz FSB) 16 Gig Ram Kingston 1333 mhz Graphics ASUS ?Geforce GT 610 2 gig (Silent Fan less)? SSD Kingston 120 gig ? This can create a USB OS X El Capitan or OS X Yosemite. Post Installer is included on the program This is a?perfect vanilla installation; only three kexts is injected by Clover. ? First Downloads latest Bios from ?Officiel Site?DELL.com Flash your bios ? Bios setting VIDEO = ?PEG SAS =OFF DISQUETTE = OFF FAST BOOT = ON SATA ?= AHCI ********************************************************************************** To used this program? you must have a USB key 8 gig minimum.? Having?Install OS X El Capitan Public Beta.app or Install OS X Yosemite.app from?the Mac App store on your Applications Folder ​PS:If you?want using?Install OS X 10.11 Developer Beta.app? ;?you need to rename?Install OS X El Capitan Public Beta.app This installer will be Updated for El capitan Final Release ? And of course a Mac or a Hackintosh is needed to create the installer. Follow every steps ;This Installer included Clover v2.3k r3262 EFI? Mode ESP for the USB Creation and Post Installation PS:If you have Graphics card higher the GT 640 you need to set in the?config.plist <key>NVidia</key> <false/> ? Start the Program ? ? ? ? ? Install OS X ! ? Restart the program and select?Clover Post Install ? ? ? ? Enjoy ! ? ? Credit Développeurs: Slice, with help of Kabyl, usr-sse2, jadran, Blackosx, dmazar, STLVNUB ?pcj, apianti, JrCs, pene, FrodoKenny, skoczy, ycr.ru, Oscar09, xsmile, SoThOr, rehabman ? Code source, crédits et remerciement à: Intel, Apple, Oracle, Chameleon, rEFIt and Xom ? Chameleon Team ? Packager chris1111 ? ? Download ?☟? ? Me it say ?The file does not contain a Bootloader ?? I update Installer today? I have Changing Extra Folder for El capitan because ?for now El capitan? have a differant kernel for Developer and Public, so this Extra its only for?Public Beta. User try Developer Beta you need to changing the kernel after the creation of the USB?